On the first day of each of my classes, I ask students a simple question: What pronoun do you prefer? Usually, the question is met with giggles. A few faces are left looking bewildered. And, a few others offer an accidental smile from the feeling of the cogs slowly turning in their heads. Based on the initial responses to the question—not the answer, but the visceral, embodied responses—I have a brief moment to make sense of where critical engagement might begin, how it will unfold, and what it will engage. 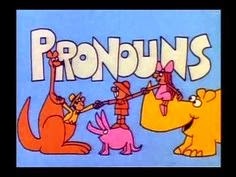 Of course, the question of if a person prefers “he/him/his,” “she/her/hers” or “they/them/theirs” and so on is important in the first instance as an instructor, because assuming a student’s gender identity (along with other categories of “difference”) or misrecognizing how they choose to identify could cause a student to shut down for the semester or too easily allow them to epistemologically buy into a method of self-evidence. So, I attempt to turn this practical need into a critical teaching moment. I try to trouble an assumption that most students hold and bring with them when they walk into the classroom: that gender (or race, etc) is fixed, rigid, given—and whether socially or biologically registered, easily determined. Gender identifications, like all other “operational acts of identity,” are far from fixed, and so to those still giggling and to the whole class, I ask: Would you refer to an engineering major as a humanities major? How would you know if you didn’t ask? So why are we so quick to assume—due to a linguistic rule coming from English’s gendering of pronouns and a “seeing is believing” approach—that we know what we’re talking about when we’re talking about (and to) other people? The exercise, and the first meeting, usually ends with students already critically reflecting on assumed and inherited ideas that uncritically become naturalized over time. They tend to leave, if nothing else, questioning what they can or do know about others and on what accounts their knowledge is grounded. Usually, this knowledge ends up directed at their own “identity”: What pronoun do I prefer? And how does my preference relate to the choices and preferences of my classmates? How did I arrive at those preferences? Where did I learn them from? Why is it that I rarely question or reflexively analyze them? It is towards this sort of example that we continually refer back throughout the semester, as we think about epistemology, meaning, religion and identity and difference, and theory and method. This entry was posted in Pedagogy, Theory and Method and tagged Epistemology, gender identity, Monica Miller, Religion. Bookmark the permalink.